Dominating St. Peter Port harbor is Castle Cornet. 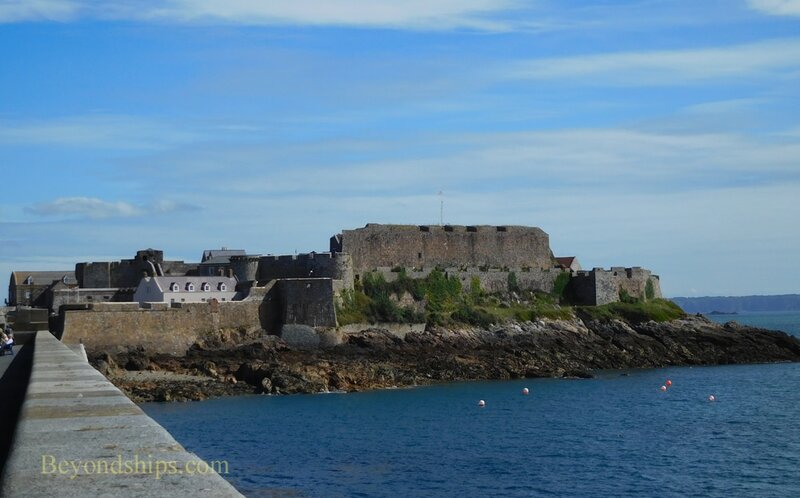 Now housing several museums, the Castle was for some 800 years, Guernsey's primary defensive structure. The Castle sits on a small islet on the south side of St. Peter Port harbor. It has been connected to the main island by a breakwater/causeway since the 19th century. As a result, it is an easy walk from the town to the castle. Castle Rock was first fortified in the 13th century. It was not impregnable. During the next century, the French captured the castle several times only to be driven out again. The Castle was remodeled in the 1500s, reflecting the widespread use of gunpowder. This did not prevent the French from attacking but they did so unsuccessfully. During the English Civil War, the Castle was held by Royalist forces while the rest of Guernsey supported the Parliamentary side. 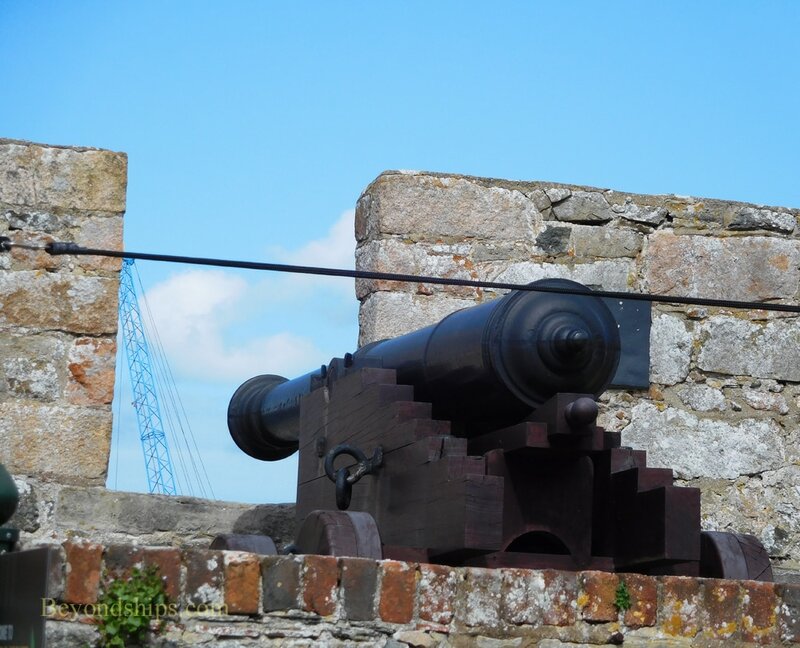 As a result, the Castle bombarded St. Peter Port, firing some 10,000 cannonballs. The Castle held out for nine years but in December 1651, it was decided that further resistance was futile and the castle surrendered. It was one of the last Royalist strongholds to capitulate. 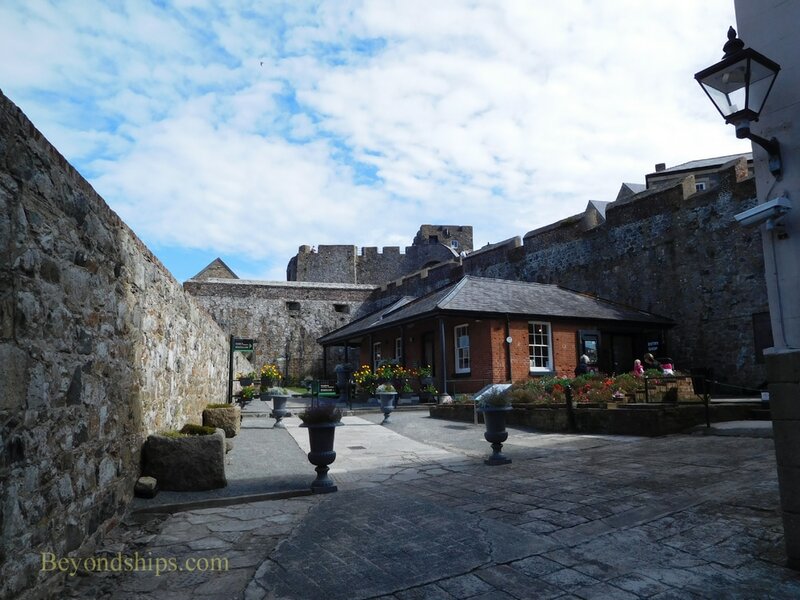 One of the traditional functions of the Castle was to act as the home of the island's governor. This tradition ended in 1672 when lightning set off he magazine destroying the keep and killing several people including members of the governor's family. The Castle was strengthened during the Napoleonic Wars but did not see action. During World War II, the Germans occupied the Castle and supplemented its defenses with modern bunkers. 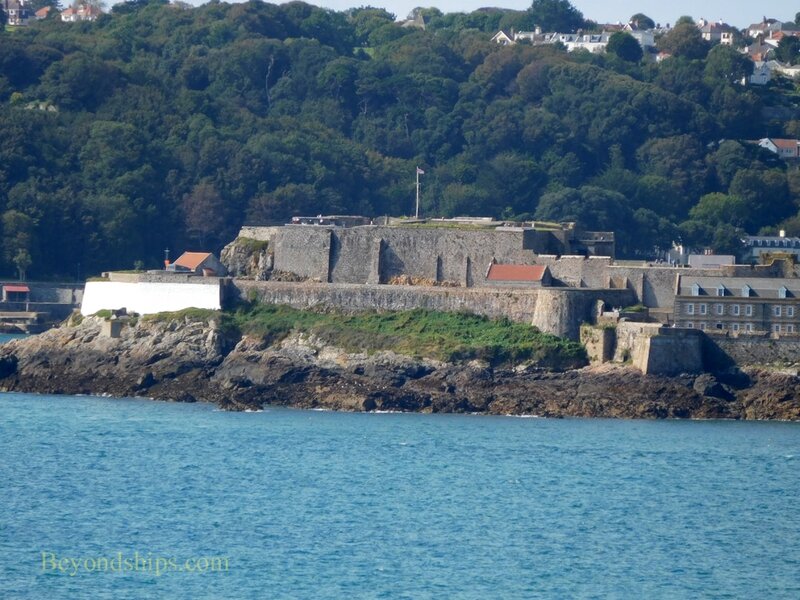 Following the war, the Castle was donated by the Crown to the people of Guernsey. It now houses five museums: The Story of Castle Cornet, 201 Squadron (RAF) Museum, Maritime Museum, Royal Guernsey Light Infantry Museum and Royal Guernsey Militia Museum. In addition to the museums, there are four gardens within the castle laid out according to historical designs. A noon day gun is fired daily (except in winter) by re-enactors in 19th century uniforms. Stories from Guernsey's past are also re-enacted on most days during the tourist season. Because it was built over 800 years, the Castle is not one uniform structure. Rather, it is a series of different style architectures and defenses. This makes it more interesting but also requires several hours to explore it fully. 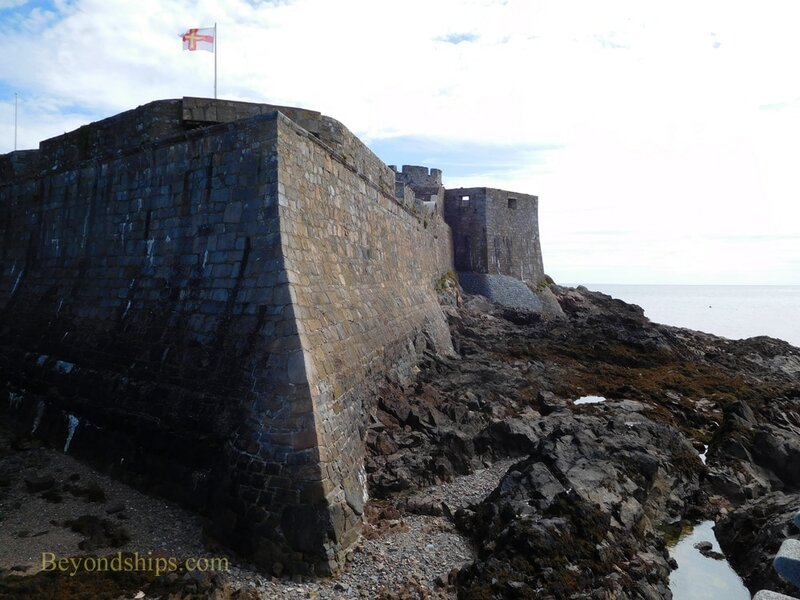 For further information, see the Castle Cornet website. Above: The Castle from the land. Below: The walls of the Castle.